We always have several bar soaps in the house, as we use them daily to sanitize ourselves. However, they can be also used in various other ways we well! 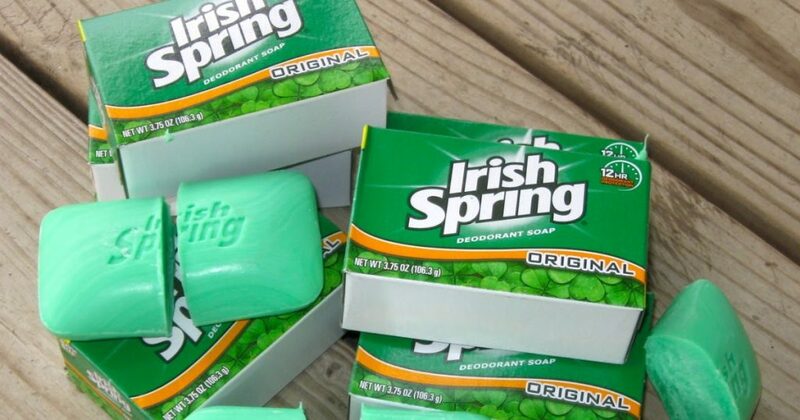 Well, the Irish Spring Soap can also be used as a garden pest deterrent and a garden air-freshener at the same time! You surely didn’t think that a bar of soap can be this useful, did you? This soap has an intense smell which deters any herbivores, like deer, from eating your valuable produce and all kinds of crawlies and insects! The sensitive noses of animals and insects cannot stand the smell, so they will stay away from your home. You should cut the soap bar into chunks and stuff them into a pair of old socks. Then, distribute such soap-socks all over your garden in order to keep those uninvited visitors at bay! For optimal deterrent effects, you can plant mini fences around the garden and scatter chunks of this soap.